Are you experiencing wrist pain? Are you feeling numbness into your fingers and hand? Is it hard to turn door handles or grip your cup in the morning? Is it painful to carry grocery bags or type on your phone? 1. Carpal Tunnel syndrome: There is a small tunnel in the wrist which must allow many tendons and one nerve to pass through. 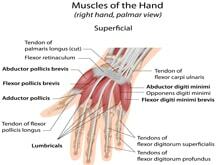 With overuse of the muscles in the hand, sometimes these tendons can swell and cause compression of the nerve as it passes through. This can cause numbness into the middle finger the index finger and the thumb. 2. 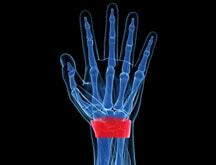 Tendonitis: This is typically caused by overuse of the muscles leading into the hands. 3. 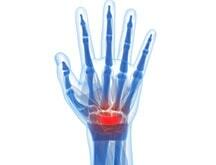 Arthritis: There are different types of arthritis that can all affect the wrist joint. 4. Subluxed bone in the wrist: This can happen if you have fallen on an outstretched hand, punched something or forcefully gripped a steering wheel during a motor vehicle accident. This can often be easily corrected with therapist mobilization. 5. Fracture: These are typically caused with trauma although could happen more easily if you suffer from thinning of the bones, ( osteopenia or osteoporosis). Our therapists are fully trained to assess the cause of your wrist pain and develop an individualized treatment plan that quickly addresses the source of your pain! What treatments are available for wrist pains? Possible treatments for wrist pain include: Treatment ultrasound, interferential therapy treatment, hot wax treatment, laser treatment, acupuncture, exercises, cryotherapy, and hands on Physiotherapy Treatments. What does carpal tunnel feel like? What are the symptoms of wrist tendinosis? Wrist tendinosis symptoms usually include pain and sometimes weakness with activities using the wrist or hand. Will I need a brace for my wrist pains? It is possible that a wrist brace may be helpful depending on the cause of your wrist pain. We do not recommend wearing a brace continuously all day and night for long periods however. The wrist will become very stiff from not moving at all. Certain types of wrist pain benefit from the use of a brace. We would also recommend reducing the activities that aggravate the wrist pain. It is wise to be assessed by a Registered Physiotherapist to determine the cause of your wrist pain. Your physiotherapist will be able to tell you if a wrist brace is a good idea for you to wear. At PhysioNow, we carry many different braces if this is required for your wrist pain. Will I need surgery to get rid of my wrist pains? Surgery is a last resort for carpal tunnel syndrome mainly. The majority of other wrist injuries can be treated conservatively with Registered Physiotherapy, modalities such as ultrasound, hot wax, interferential therapy treatment and exercises. All of the conservative Physiotherapy Treatments can be offered by PhysioNow at all of our locations.